Hello there, backers. Confidantes. Friends. 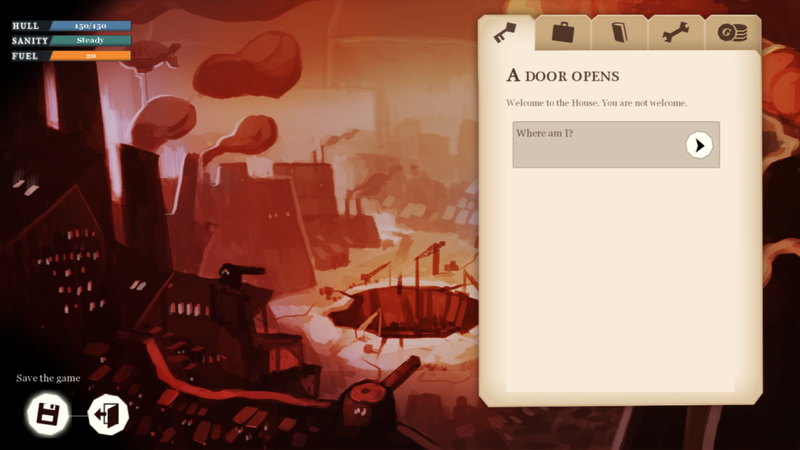 Catherine has been working on the House of Many Doors GUI (that’s Graphical User Interface, if you’re wondering). She’s made it extremely sleek and elegant, and now that I’ve added her work to the game, it feels very satisfying just to click around doing things. A little slice of new UI pie. GUI isn’t something that gets people very excited, I suppose. It’s no “Star Wars Episode VII: The Force Awakens.” But it’s integral to the user experience, and will be on the screen almost continuously while playing, so I’m very pleased that we’ve got it looking and feeling so good in-game! Catherine’s going to be working on the combat GUI next, which is a whole different satchel of cats, but I expect her to do something equally fantastic with it. And what have I been doing? Well, mainly writing out spreadsheets and word docs, designing and balancing the game’s shops, trade and economy. I can sense your UNBEARABLE EXCITEMENT at this prospect! Maybe you should go and watch “Star Wars Episode VII: The Force Awakens” in order to calm down. May the Force Awakens be in front of you. ← Soundtrack Sneak Peek! Excitement!